PowerShell based module that can decode System Errors, Exit codes, port numbers, HTTP Return codes and MAC Vendors. This module can be used to quick lookup Error descriptions. To add verbosity to your custom error messages and for a better Error Handling, Investigation, and Analysis. Technically the module offers a set of cmdlets that query a database of Error/Exit codes, port numbers, and MAC addresses which totals to 83049 individual records. In order to make it available to the community, I’ve wrapped this project as a module publically hosted on a Github repository where you can assist me to make it better. 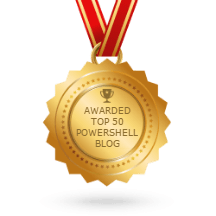 Installation of the module is pretty straightforward and you can utilize one of the below methods, depending upon the version of PowerShell on your machine. In addition, you can also utilize aliases that come handy with this module. Using this Powershell module you can very easily decode any HTTP return code or status codes programmatically. In addition, you can provide a very detailed description in case of errors to add more verbosity to the program or application. Hope you’ll find the script useful and Thanks for reading.